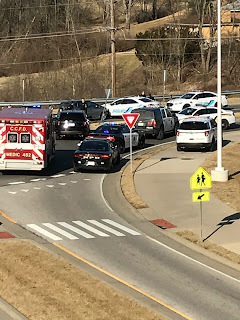 A police chase that began in Newport ended in Highland Heights at the foot of Northern Kentucky University this afternoon at around 3:15 p.m.
Police from multiple jurisdictions caught up with a silver Toyota Prius on Nunn Drive in the roundabout where it looked as if the vehicle fleeing police crashed into a Campbell County Police cruiser. The cruiser was towed from the scene and the suspect was taken to the hospital with injuries. 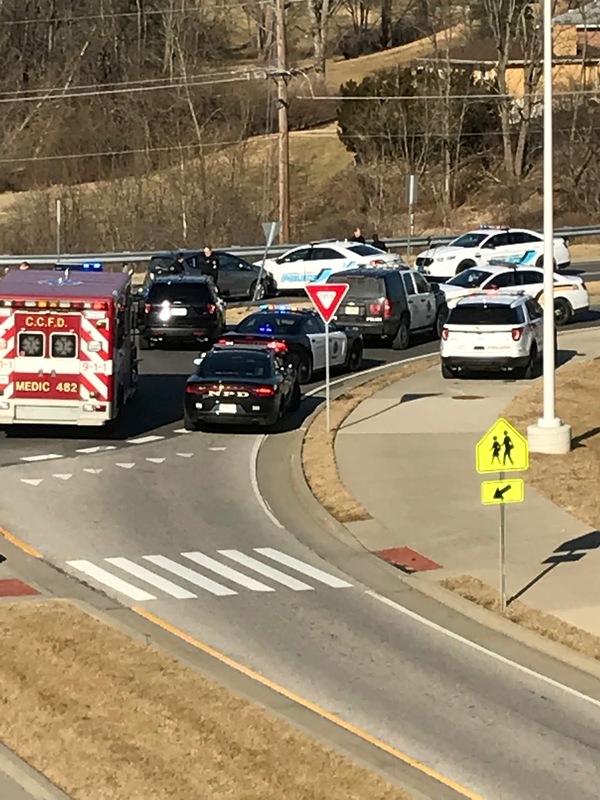 Reports indicate that the person fleeing from police is a juvenile, but that has not yet been confirmed by police, who are still on scene. Matt Birkley, owner of Birkley Services, said he was working on US-27 when he saw the police response. "Coming to the job site we're working on today, we saw an ambulance and police car went by heading onto 471. Then saw several police going down towards NKU," he said. "It was quite a presence. 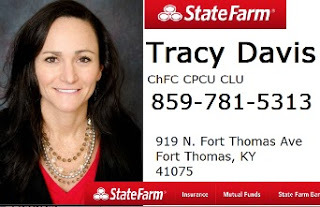 When more information is available, Fort Thomas Matters will update this story.